UL listed Tecumseh® commercial condensing unit. Johnson Controls was founded in 1885 as a building controls manufacturing and service company. Today, the Controls Group of Johnson Controls, Inc. offers unmatched expertise in how to make non-residential facilities perform better, resulting in improved comfort, safety, energy efficiency and productivity. Johnson Controls is the recognized global leader in creating and managing quality building environments and providing solutions that continually exceed customers' increasing expectations. Johnson Controls designs, manufactures, operates and maintains mechanical and electrical systems that control energy use, heating, ventilating, air conditioning, lighting, and security. Basic system consists of a control module, which accepts stage, display and transformer modules. 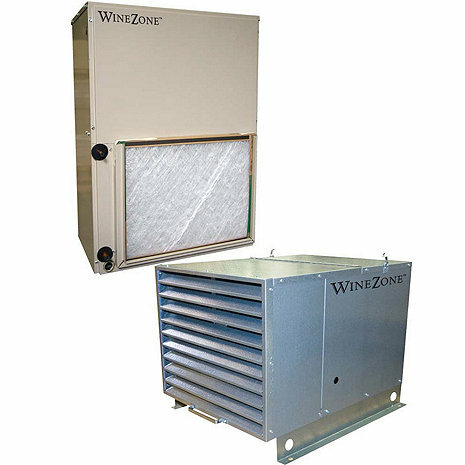 Research Products Corporation is the largest manufacturer of whole house humidifiers, air cleaners, and fresh air exchangers and is a recognized leader in the heating and air conditioning industry. Indoor Unit: 27" x 24.5" x 19.75"
Outdoor Unit: 27" x 24.5" x 22"
865CFM @ 0.08" static pressure. 8 x 20 supply trunk, 8 x 26 return trunk recommended, 2" duct wrap minimum.